The mod where all materials come from alchemy and technology in the sky. 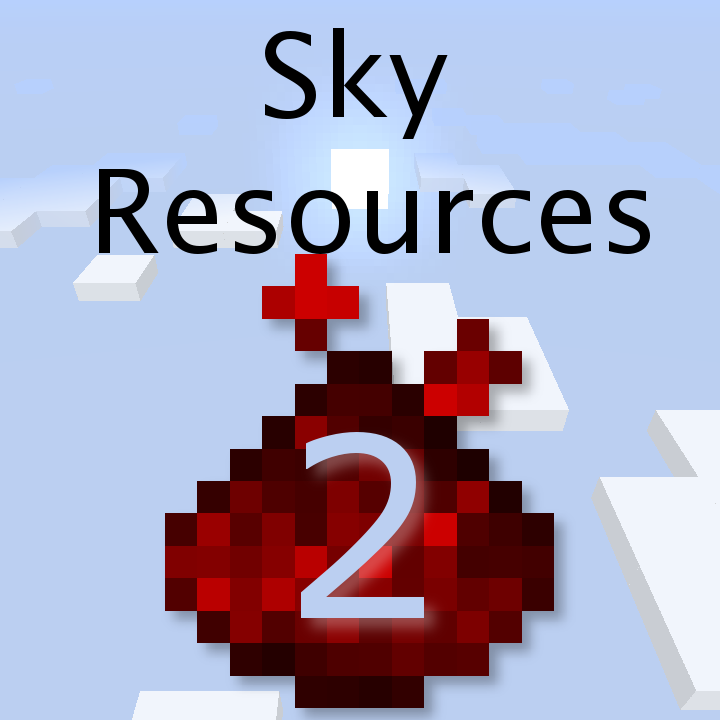 Only the 1.12 version (Sky Resources 2) will be supported now! The mod works well with Void Island Control! JEI (Just Enough Items) is highly recommended for recipes. 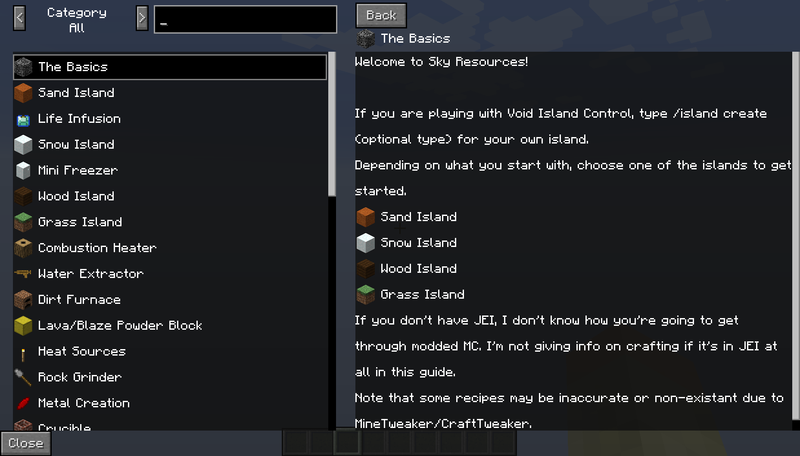 CraftTweaker can be used to customize the recipes used for your 1.11 skyblock experience! Go here for information. Let me know when this mod is being used for an addon. I would like to know what would be added in the addon to see if it conflicts with future plans for the mod. Addons for adding recipes or resources I would prefer NOT to be done as that would be pointless and more work for pack devs. If you want something added, either put it in the issues, or down in the comments. You can donate above to paypal or through patreon. Don't feel like you have to, though. Playing with my mods is already showing support! !